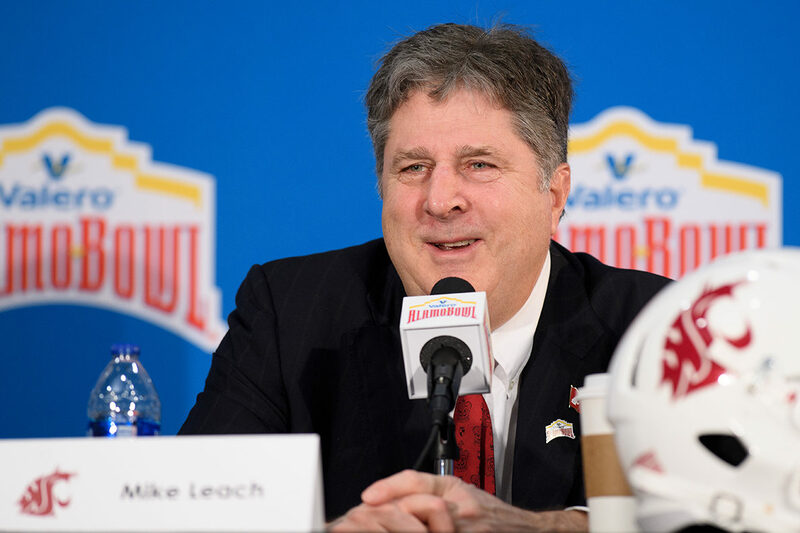 Washington State University Athletics has announced that Head Football Coach Mike Leach and the university have agreed in principle to a provision in Leach’s contract that extends the agreement an additional year through the 2023 season, bringing it to a five‑year contract. Additionally, Defensive Coordinator Tracy Claeys has agreed to a three‑year contract through the 2021 season. The 2018 season saw Leach guide Washington State to an 11‑2 record, a No. 10 final ranking in both the Associated Press and Coaches Polls, and a victory in the Valero Alamo Bowl over Iowa State. The 11 wins in 2018 set a single‑season school record, and he is the first Cougar head coach to lead Washington State to four straight bowl games. Additionally, Leach was named the American Football Coaches Association National Coach of the Year, the first in WSU history. The Cougar Air Raid offense led the nation in passing while the defense led the conference in sacks and tied for second in takeaways. Under Leach’s current agreement, his 2019 compensation will be $3.75 million, while the following four years he is scheduled to make $4 million per year. Following the 2020 season, Leach will also receive a one‑time retention bonus of $750,000. Details of Claeys’ contract were not released. In his seven seasons leading the Cougars, Leach has amassed 49 victories, which ranks third in program history, He has guided the Cougars to five bowl games in the past six years, also a first for a Cougar coach, and over the past four seasons WSU has the second‑most conference wins of any program in the Pac‑12.